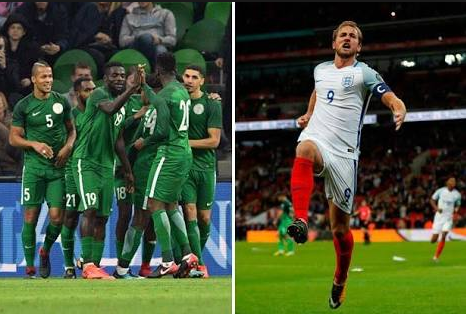 Nigeria and England go toe-to-toe in what promises to be a thrilling Russia 2018 preparatory game for both teams at the Wembley Stadium in London on Saturday. England hosted and won the FIFA World Cup in 1966, but have only gone as far as the semi finals since then, when Bobby Robson steered a squad including Gary Lineker and Paul Gascoigne to the last four in Italy 28 years ago. 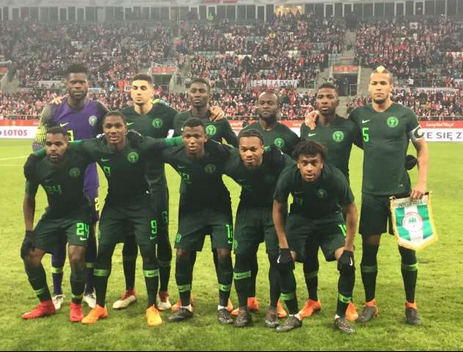 On Thursday night, at a brief event at the Transcorp Hilton Hotel in Abuja, Senate President Bukola Saraki spurred the team on with a cash gift of $50,000, and with a pledge of ‘special package’ for every unreplied goal at the World Cup finals in Russia. On Friday morning, the contingent met with President Muhammadu Buhari at the Federal Council Chambers, and his words that they should go and fight with their spirit as the whole nation is behind them, are still ringing in the players’ ears. In truth, a high percentage of the travelling Nigeria party are familiar with the United Kingdom. Wingback Victor Moses recently won the FA Cup with Chelsea FC, the west London club where Mikel Obi achieved great things; Wilfred Ndidi is reverred at another side Leicester City where he won the Young Player of the Year for the second successive season; Iheanacho is also at Leicester City; Alex Iwobi is with north Londoners Arsenal FC; Olaloluwa Aina is with Hull City; Ahmed Musa only recently left Leicester City; Odion Ighalo was a star at Watford FC before leaving for China last year and; Kenneth Omeruo is officially with Chelsea even though he has been on loan in Turkey. Manchester United’s Jesse Lingard will start for England in Saturday’s friendly against Nigeria and manager Gareth Southgate believes there is no reason why he can not play alongside Dele Alli. While some observers believe the 25-year-old is competing for the same spot in the England side as Tottenham’s Alli, Southgate says that is not the case. “I don’t see it as a straight contest between any individual. Absolutely, they can play together,” Southgate told a news conference ahead of the match scheduled for the Wembley Stadium. Southgate added that Manchester United central defender Phil Jones would miss the Nigeria match after he was allowed to leave the training camp as his partner was due to give birth. “Tattoos are very personal. A lot of our players have tattoos and they are wrapped up in a lot of deep stories. “I don’t see why we should be involved in policing that,” said the England manager.